We have all experienced the frustration and difficulty that comes with attempting to reverse out of a tricky spot, and the blind area that comes with every vehicle can be especially hard to try and overcome. So many accidents could be avoided if we were able to see everything clearly whenever we reversed, and not every car is equipped with a parking guide. That’s where reversing cameras come in, and these nifty little devices can help you to overcome all of your issues when it comes to escaping those tight spots and corners. Many are easy to install, and they can assist you with reversing out of a space with confidence and ease. They make for a great investment, and one that really helps you to relax a little when you are driving. Plus, they aren’t the kind of tech that will leave you flat broke, so they make for quite affordable additions. Of course, choosing one is not an easy task when you go it alone, but that’s where we come in to give you a hand with things. 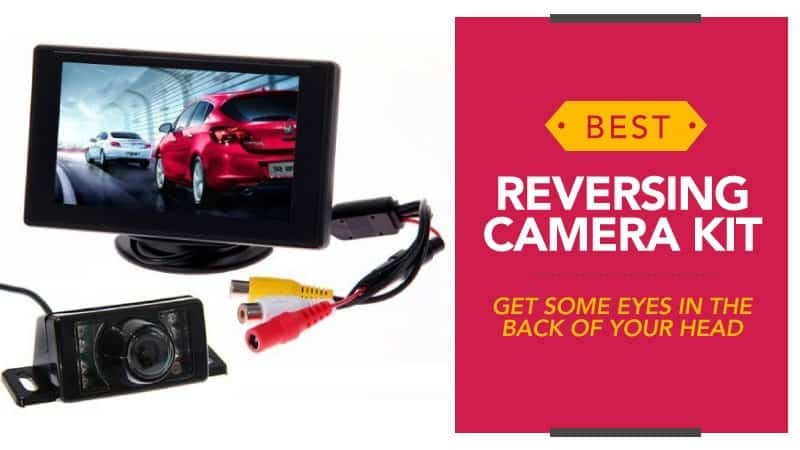 In order to help you find the best reversing camera kit, we have put this guide together, compiling all of the relevant reversing camera reviews in one place, allowing you to find one that best for you. You may be left wondering how exactly these cameras work, and how they are installed in your car. This section goes through the former, and you can learn about installation in the next section. The reversing camera was specifically designed to prevent backup collisions, something that happens quite frequently and can be easily avoided with these pieces of tech. It is especially good at ensuring the area directly behind the driver (also known as the “killing zone”) can be clearly viewed. The camera itself is installed on the rear of the car, while the screen is placed either on the dashboard or the windscreen so that you can see it clearly. The picture produced on the screen is actually a mirror image because the camera and the driver face opposite directions, meaning that without the image flip you would have the sides mixed up, which could cause further incidents. Typically, you will find that a reversing camera is installed at a downward angle as this gives it a better view of approaching docks and walls, as a straight back view does not necessarily mean that it will be able to accurately pinpoint the distance. The actual installation process, however, can vary depending on if you have a wired or wireless model. 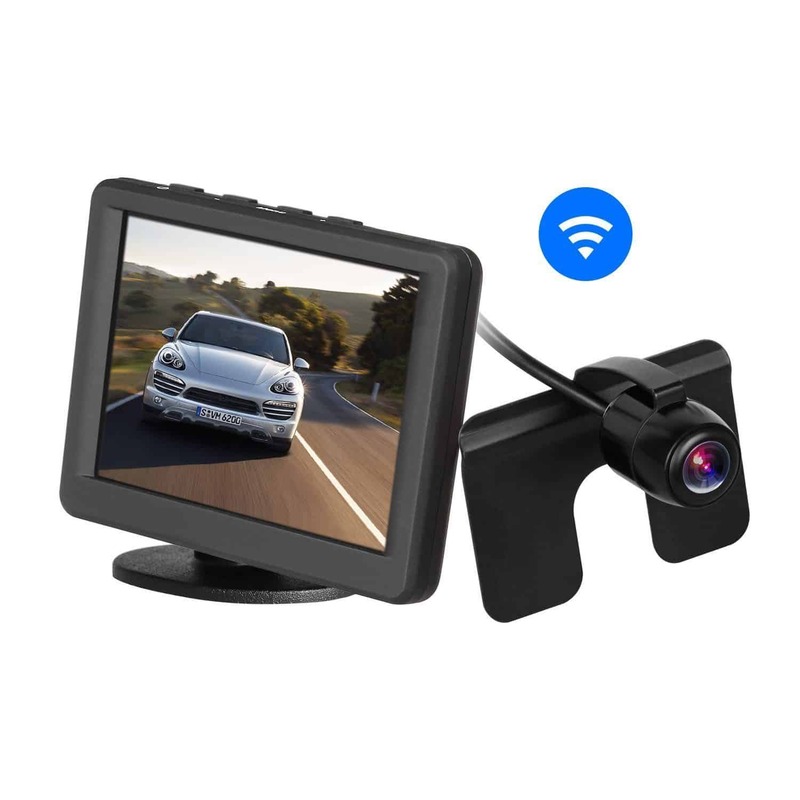 The wireless cameras are the easiest to install, and you only usually need to connect the screen to the car charger by the gearstick, and the camera itself hooks up to a wireless transmitter from the back of the vehicle. Of course, the instructions vary between manufacturers, but that’s the basic gist. Wired models, however, require much more work and it is advised to get a professional to do this. It doesn’t usually cost that much, and it also tends to be covered by a warranty for your protection. It starts with disconnecting the battery from your car and ends with removing interior panels to keep things neat, so unless you are a pro, it is better to take it to a garage for installation. Now that you have a better feel for the product and an improved understanding, have a look at the reversing camera reviews below to see if any of them interest you. AUTO-VOX is a great brand to go with, and even better is the fact that this is a wireless model. These are the easiest to install in your vehicle and don’t require a professional, saving you a little extra cash. If you think this could be the reversing camera you need in your life, keep reading for more information. This reversing camera allows for safe and effortless parking, and all with an installation process that is quick and easy to follow. 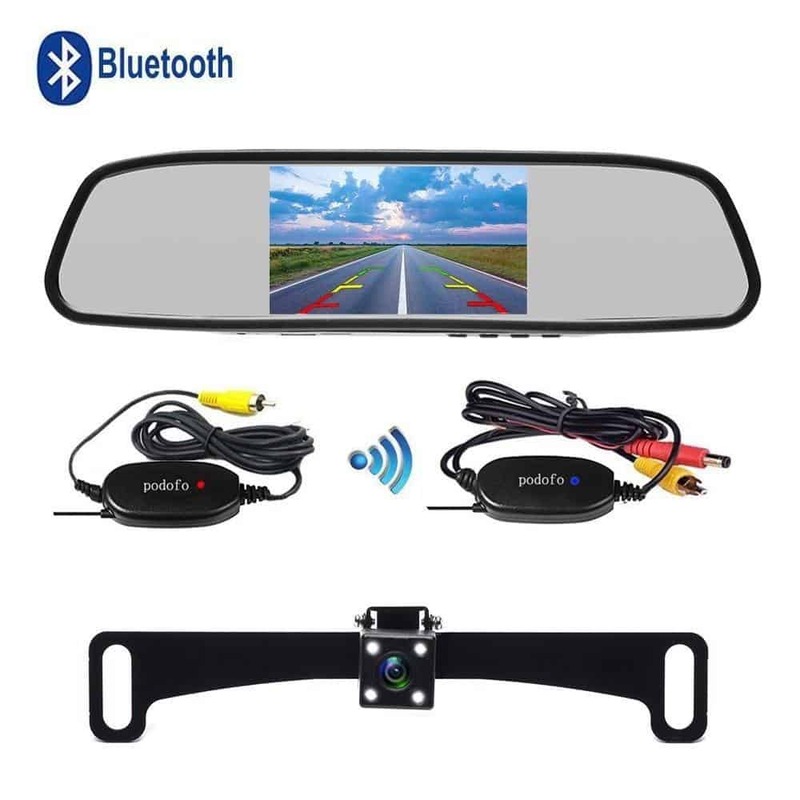 Using a wireless transmitter, you can connect the rear camera and the screen in the front of the car for a clear and detailed view of everything that is behind you. The front screen even comes with a strong adhesive mount so that you can keep an eye on it at all times. The transmitter and camera are waterproof to keep it protected from the elements and any accidents that might occur within the car, and there are no long cables, so everything remains nice and tidy. The LED screen in the front allows for clear visuals in all weather and during both the day and night so that you always know what you are doing. Plus, it is suitable for just about every car. Some customers feel that the video quality could have been better on the main screen. 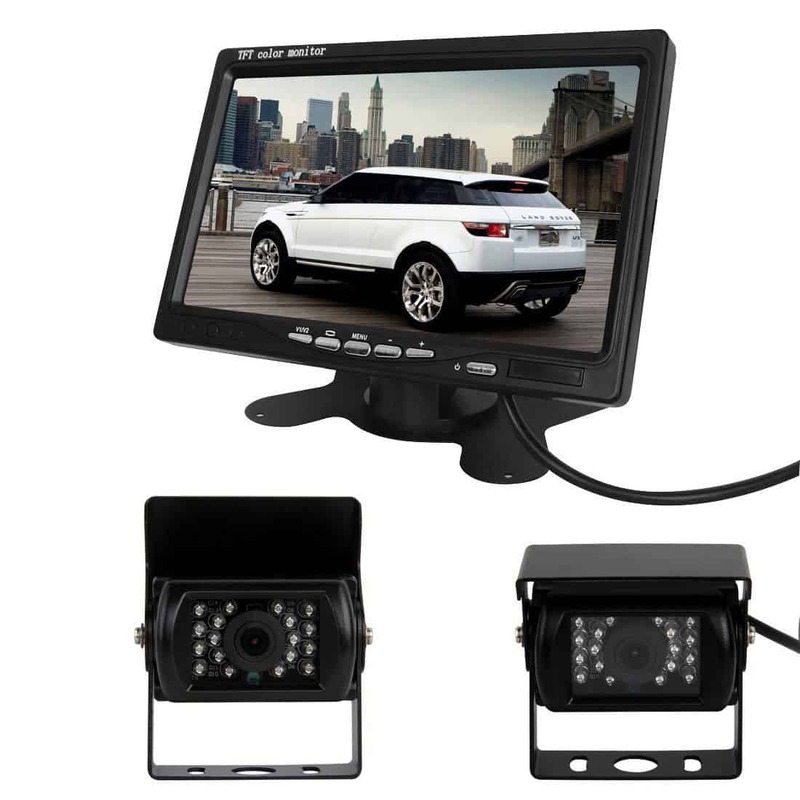 This reversing camera kit comes at a very reasonable price, and one that can sit comfortably in a good number of budgets. While there are some who feel that the video quality could be a little better, it is excellent for the price of the model and certainly one to consider if you are on a slight budget. Waterproof and easy to install, it is a dream come true for those who want a camera kit that is low maintenance but still offers great quality tech. Motorhomes can be more difficult to reverse than a standard car, especially because they are larger and have more blind spots, so investing in a good camera might just be the best choice for a safer and more relaxed trip. Take a moment to read the reviews below and see if this is going to be the one for you. This reversing camera is ideal for use in motorhomes and has been specially designed so that it can be attached to the back with ease. It’s a dual reversing camera so that you have a nice, wide, image to ensure maximum visibility, and there is also the option to view two video images via the screen that is mounted in the front of the motor home. The front screen is also easy to mount and settle. The front screen simply attaches to the mirror for easy viewing and access. The camera is waterproof to protect it from adverse weather conditions while you drive, and it comes with a 15m cable that provides you with more than enough room to get everything connected and ensure that you can see clearly. The cameras can be adjusted independently for a better view, and they come in 90 and 120-degree view options. The controls are not the most user-friendly and can take some getting used to, especially when navigating. This reversing camera allows you to see everything clearly, and comes at a very good and reasonable price considering it is for use in a motorhome. While the controls are not the easiest to use when you first get it, you will get the hang of it in no time and are sure to find that it makes for a great piece of equipment to have. The cameras are easy to adjust and offer an excellent view of the rear of your vehicle, eliminating blind areas and ensuring a much safer experience when parking and reversing. Overall, a great piece of kit. Podofo is a great company and a trusted brand, so you know you are getting something reliable with this purchase. Bluetooth reversing cameras are an equally great choice to make, so make sure you spend some time reading the reviews below so that you can determine if this is going to be the right choice for you. This reversing camera kit comes in black, and has a really easy installation process so that you can get started as quickly as possible. It uses the latest Bluetooth technology for easy connection between the rear camera and the front screen, while remaining easy to plug in and get powered up. There is even a night vision mode on the main screen so that you can see while night driving. In addition to being able to see in the dark, the rear camera is also anti-fog and anti-haze, allowing you to see in practically every weather condition. Plus, it is waterproof for some added protection while driving. The transmitter that is attached to the camera has great range as well, making it a suitable model for use in everything from cars to camper vans. It also has a discreet appearance. There have been no negative reviews for this model of reversing camera so far. 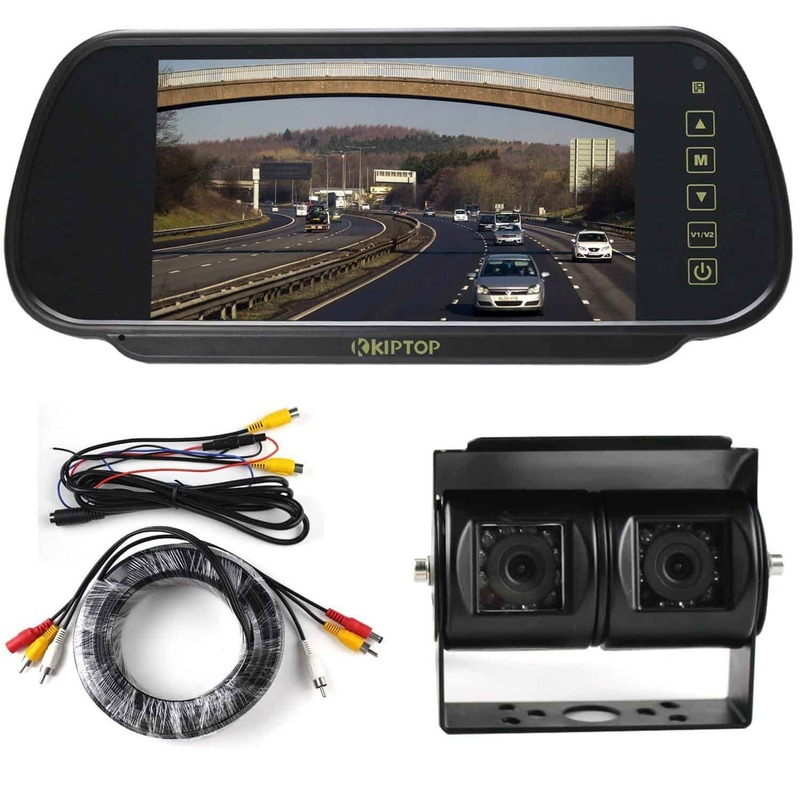 This reversing camera comes at a really great price that is affordable for most, and it is also suitable for a massive range of vehicles- making it a versatile option. With no negative reviews at the moment, you can rest assured that this model will serve you well when you are on your next road trip, or even just trying to leave the supermarket. The camera is easy to install, has a wide lens, and sits discreetly on the back of your vehicle while you drive. It makes for an excellent value for money model of Bluetooth camera. Here are some further models of reversing camera, just in case the ones above do not quite meet your requirements. This reversing camera kit comes at a reasonable price, and is perfect for use by those who drive trucks or buses, allowing for some extra visibility when trying to get out of difficult spots. It has a 7-inch display that produces a very clear image, along with 18 infrared LED lights so that you can still use it when driving at night or in conditions with poor lighting. The controls are easy to access, and there are two channels for video input included. When reversing your vehicle, the image will appear on the screen automatically, and it is also waterproof just in case it gets dropped or rained on at any time. 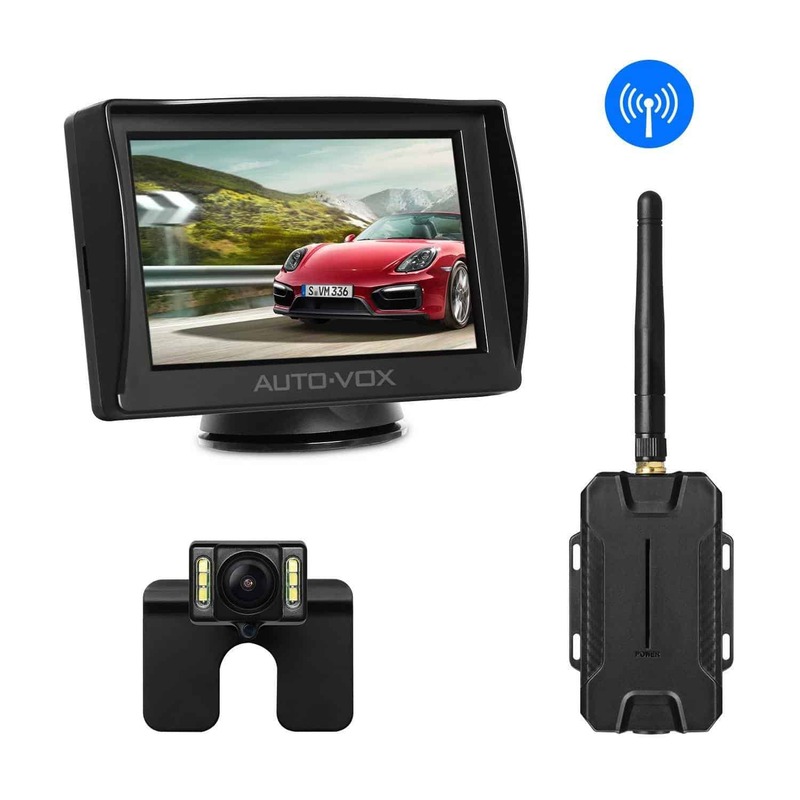 Another model from AUTO VOX, this reversing camera kit also comes at a great and affordable price, so you don’t need to spend a fortune on an essential piece of equipment. The installation process is incredibly quick and simple, so you don’t need to spend a lot of time fiddling with it, and it will automatically show the reversing image on the screen when you go to back up your car – although this can be turned off. You can mount it on either the windshield or the dashboard, and the camera has a waterproof lens, high-resolution images, and also illumination for use at night or in weather conditions that produce low levels of light. Hopefully, this guide has helped you to find the best reversing camera kit, and has allowed you to find a model that will help you to reverse your vehicle in a safe and effective manner. After all, it is not always the easiest task, and it can be reassuring to have a little assistance. We have gathered an excellent selection if reversing cameras from a range of trusted and well-known brands, ensuring that you have the option to go with a name that you know you can rely on. We also understand how important it is to have something that is good quality, and this is something we have carefully considered when picking each model – that and your budget, as we know everyone has a different spending limit. From cars to motorhomes and trucks, there is a reversing camera here that will suit you perfectly. What did you think of our reversing camera guide? Are there any that you would have liked to see or recommended? We love hearing from you, so make sure to leave us a message in the comments below.